Our AirVuz FPV Pilots to Watch list is not an easy one to make considering the amount of talents pilots on AirVuz.com. This piece by VerJanFPV lands him in one of our top spots for all the right reasons. 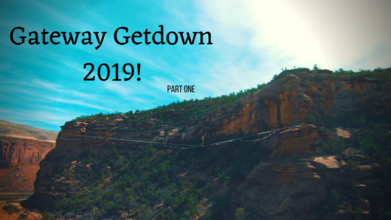 Flowing, summersaulting, rolling, ripping, and diving around the canyons while tracking base jumpers, paragliders and high liner walkers, this peice has got a little bit of everything. Watch and feel inspired. Description: At an event called the "Gateway Getdown" this last month and what fun it was! BASE, Climbing, Powered Paragliding, and Highline all in one place! So Epic, enjoy! Do Good!